Today’s modern offices no longer have to be a landscape of bare walls and tiny cubicles. To attract and retain today’s top talent, it’s important for businesses to have a focus on creating great company culture and when it comes to culture, everything from the visuals on the walls to the agility of its management play a role. From an aesthetics standpoint, creating a visually appealing, comfortable, and accessible workplace is easy to do when you integrate video installations into the mix. Even better and beyond aesthetics alone, video installations can help drive creativity, ignite imaginations and boost productivity. Here are some thoughts on how video installations in the workplace can help cultivate a culture of creativity, productivity, and collaboration. Why Video Technology in the Workplace? There’s a reason more people pause to look at video or images than text—the mind can compute what’s happening through visuals much faster than it can through words. By engaging with video in the workplace, employees have a jumpstart on clarity—making it easier to dive into creative projects. Video technology also brings human connectivity to brainstorming meetings, project updates, and team-building exercises. Unlike the often glitchy and lag-prone solutions of the past, modern video technology offers a simplified user experience and integration opportunities. At the touch of a button, anyone can connect with a coworker, manager, or client in a face-to-face, real-time manner. A shift away from voice to video as the main mode of communication for internal, channel partner, and sales communication. A $50,000 annual savings associated with travel and international telephone rates. An increase in productivity across the organization. Those are benefits that the adoption of video technology affords that are impossible to ignore. Video can change everything about organizational communication. It doesn’t replace talk and text messaging, it enhances those methods of communication. Video can also enhance and enable content sharing, human connectivity, and clarity in all business dealings. Streamlined physical spaces. Huddle rooms are smaller conference spaces centered around AV installations like smart boards and give employees flexibility while reducing the need for high square footage conference rooms. Flex-spaces and huddle rooms create fun and engaging environments for increased productivity and less disruptions for other employees. Complementary tools. Custom video installations give companies access to the technologies they need most. Projected “drawing boards” create augmented reality spaces for user-friendliness. Content sharing solutions eliminate the need for emailed attachments, while mobile applications provide video access on-the-go. Flexible mobile solutions boost employee morale that in turn creates a space for creativity and productivity. Beautiful setups. 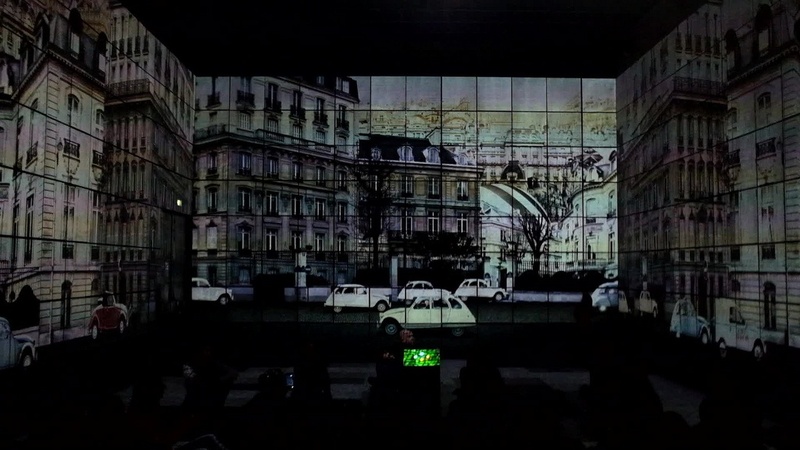 Video installations can be like pieces of interactive art lining your office walls. Video walls in the lobby, for instance, can feature engaging scenes, interesting messaging, and information on upcoming events—enjoyable and beneficial to both employees and clients. Strategy management. When all levels of an organization can regularly converse face-to-face, whether in person or by way of video technology, it enhances relationships, encourages collaboration, shortens turnaround times, and allows a laser focus on results. From executive debriefings to sales meetings to team trainings, to customer service offerings, integrated video installations give organizations a tech-savvy, incredibly effective way to reach others at any time and in any place. Several factors come together to create a successful video installation. The technology, people, and placement must make sense from a strategic standpoint for companies to realize cost savings, improved innovation/creativity, and increased productivity. Video will not change a workplace culture overnight, but it can boost agility and transform a company’s outlook over a period of a year or two. Create a holistic collaboration environment using the latest video installations and inspire employees to achieve more every day. Are you using video in the workplace yet? If you’re ready to explore giving it a try, we are here to help.